Who the F*&@ is OneJet? It’s been awhile since I’ve written one of these posts, because there really haven’t been many new entrants worth profiling. OneJet, however, caught my eye when it came on the scene earlier this year. This is a very different kind of airline than we’re used to seeing. Will it work? I’m not sure, but I’m glad the airlines is giving this a shot. After months of trying, I finally had the chance to speak with founder and CEO Matt McGuire to learn more about the plan. The original idea behind OneJet was to fill in the service lost over the last several years in mid-size cities, many of which are former hubs. The weapon of choice? A 7-passenger Hawker 400 business jet. That’s right, this isn’t your low cost carrier filling the void with full flights to Florida. OneJet is trying to replace nonstop service that no longer exists in markets where there might not be enough demand to fill a 50-seater but there is, so OneJet bets, enough to fill a few seats a day. After poring over a ton of data, OneJet found plenty of airports that it felt could support the service. OneJet’s first route between Indianapolis and Milwaukee started earlier this year, but today with three airplanes it has grown beyond that. One airplane flies Pittsburgh to Indy and on to Memphis in the morning, returning the same way that afternoon. Another airplane goes Indy to Milwaukee to Pittsburgh and back the same way in the afternoon. The last one is scheduled to fly a simple roundtrip from Indy to Nashville now. Presumably more will be announced soon to keep that airplane in the air. All flights operate only Mondays through Thursdays (with those two days seeing the heaviest demand), but Matt says Friday flights are coming. What’s most interesting about OneJet’s approach is that it’s not trying to make this an exclusive private experience. It’s trying to make this as much like regular commercial travel as possible. It operates from regular gates at these airports. It is even participating in TSA Pre Check to make it easy for people to get through security. Further, OneJet currently only sells tickets through the global distribution systems (GDS). Any travel agent can sell a ticket and it’s available on Expedia, but it’s not available at onejet.com or through the murky world of private brokers. Why not sell directly? I asked Matt about that. They just didn’t get that up and running very quickly. It should happen soon, but since OneJet is targeting business travelers, it found it important to be in the GDSs first. While much of the experience is supposed to feel like that on other airlines, pricing and availability is a whole different story. When I looked last week, OneJet was only selling flights through the end of October. It’s meant for business travelers so it expects most bookings to be only a couple weeks out. Let’s look at Indy to Milwaukee to understand how pricing will work. If I try to book a ticket toward the end of the schedule, it’s $283.10 one way right now. That’s a pretty good deal if I’m a business traveler valuing the nonstop flight. (I can only assume that fares are low to stimulate trial right now and will rise a little over time, but not too much as to be noncompetitive with existing commercial service.) If I look at the flight for tomorrow (at least when I looked last week), it showed only 2 seats left for sale at $229.10, lower than what someone booking months in advance would pay. That’s because OneJet’s model is to actually price the first tickets it sells on each flight the highest. Then once someone is booked, the fares will go down to try to fill up the rest of the aircraft. The first ticket, however, will become more expensive as it gets closer to the date of departure. Last week I looked at a flight a day in advance and it was pricing at $339.10. I’m guessing nobody had booked that flight yet, so the price for that first ticket crept up as it got closer. If one ticket sold, I’d bet we’d see a chunk of cheaper seats become available. This kind of model doesn’t make much sense right now, because OneJet is flying all flights whether someone is onboard or not. (OneJet says it’s rare to have an empty flight and it’s running a load factor of just about 77 percent now.) But in the longer term, it’s moving toward an on-demand model which would mean that if no ticket is sold, the flight just won’t operate. Beyond just published pricing, OneJet has been making a big push into signing corporate deals. So far it has 8 with Fortune 500 companies alone. One that’s been written up publicly is with FedEx. FedEx, of course, has its mega hub in Memphis, but it also runs a large hub in Indianapolis. OneJet is now an approved carrier for FedEx employees, something that should make that route a success on its own. I suppose I shouldn’t call OneJet an airline, because it doesn’t actually fly any airplanes. Currently Pentastar Aviation operates the fleet of 3 airplanes (with about 1 a month planned to arrive through the next year) dedicated to the OneJet operation. Other operators will become involved down the line. The crews are also dedicated to OneJet. From Matt’s perspective, this is just the building of a platform. With all this infrastructure, OneJet can operate a variety of different operations. I asked about whether it could run a corporate shuttle. Sure, it can, and it has the infrastructure in place to make that easy to do. OneJet has been deliberate about building something flexible. It has a stable of advisors ranging from former DOT folks (former Transportation Secretary Ray LaHood) to former airline chiefs (Fred Reid, from Delta and Virgin America). It has built an operation that’s running well and can handle growth. Now, it’s just a matter of figuring out what’s going to work best with this model so that the company can become profitable. Without seeing the numbers it’s hard to say whether this is going to work. But I’m certainly rooting for any airline that finds a way to profitably serve markets that seemed unlikely to return in any other model. 36 Responses to Who the F*&@ is OneJet? This sounds like a business model that is slightly similar to that of Blade, which Bloomberg recently profiled (http://www.bloomberg.com/news/articles/2015-08-28/what-happens-to-the-uber-of-helicopters-when-summer-s-over-), and which books helicopter and seaplane flights from Manhattan to NYC airports and the Hamptons. Basically sounds as though companies are realizing that the money isn’t in the actual flying, but rather creating a platform to capture consumers, while outsourcing the flying to others. That said, I’m surprised OneJet hasn’t hit the NW Arkansas or Cincinnati markets yet, both of which have high fares and lots of business travel (especially NW Arkansas, where it seems as though 90% of the ads inside the airport target current and prospective Walmart vendors). It wouldn’t be hard to imagine flights from NW Arkansas to MSP or to Cincinnati Lunken (easier access to downtown than CVG), covering the Walmart-Target or Walmart-Kroger runs, as most CPG companies of any size are essentially forced to have sales offices in all three locations. Cincinnati already has Ultimate Air Shuttle which is one of the better kept secrets for air travel. In addition, the AvGeek in me loves flying on the Dornier 328. How does this compare to Botique Air? Just fyi, I can’t receive emails at work with this type of subject. Sadly, I will have to cxl my subscription if anymore are written this way with clear profanity. How about not using your work email then? Valid point, but I read The Cranky Flier for work related purposes. I would like to continue to be able to receive it at work and would be sad to have to discontinue. But, employment policies on email are what they are, and ours are strict. Thanks for your suggestion though. F*&@ is profane? Isn’t it exactly the opposite of profanity…a substitute to demonstrate profanity without actually being profane? And, you can easily get a free email account from a variety of sources so you’re not using your work email. Added benefit is you’ll continue to get your subscriptions even after you’ve left the job! First he chooses to fly on closed regional routes. That means there is and will not be any competition Furthermore there is a known demand so he can adjust the supply accorsingly. Secondly: He wants to create a cape air like airline. That means that you fly under the part 125 requirements and complex and expensive regulations but with airline operation and shedule. Finally close contracts with business to stimulate demand and breake even a route and then selling empty to make a route profitable. It’s funny that you wrote this column now, because I saw the ticket counter they have at MKE when I was flying out of there last week and said to myself exactly what you titled this article. They looked set up like any other airline in the terminal, except their sign includes a picture of a business jet. You bring up a fair point about former hubs that have lost a lot of flights. They already serve Pittsburgh, MKE, and MEM, and I’m sure they have done the numbers on (and may yet be planning to add routes to) CVG, St Louis, and Cleveland. Then again, it’s almost hard to find a mid-sized city in the northern half of the area between the Mississippi River and the Appalaichan Mountains that was NOT (or is not currently) a hub at some point, excepting those an hour or two away from ORD, ATL, and DTW. SDF is the only one that comes to mind. But I suppose you could say that is in the southern half of that area (albeit just barely). I always wish new carriers luck, and being in a GDS/Expedia is a smart move since it gets people seeing it even if they don’t fly them now. The only issue for a new carrier is how long they will be around. Business travel is usually in a short travel window, so one may feel comfortable that after they departed, the airline would still be flying to bring them back home. Reminds me of Zoom Zoom Airways. I used to ride with them on their scheduled cargo flights in the 70s (it was a simpler time then.) They served PHX, OAK, and SLC with an LAX hub. Everyone would leave the spoke cities late night to meet in LAX about 0200, swap any cargo around that needed to be swapped and leave the cargo for LAX there, then fly off to a spoke city. Depending on who had cargo going where, I might or might not have to change places to for my OAK-PHX and PHX-OAK flights. Arrive at the spoke cities about sunup and do it all over again that night. Free flights for the work of helping to load and unload cargo; I also got some seat time in their fleet of DC-3s, no takeoffs or landings though. I also learned that one can, with at least 4 people, hand prop a DC-3 with a dead starter battery. Can somebody with knowledge of the actual operational cost of midsize business jets comment on whether this looks like a sustainable model with these ticket prices? According to a quick Yahoo search, the Hawker 400 costs about $3000/hr to operate. You can do the math from there. Edit: that figure is from 2006, so it’s probably more now. Been watching them closely since I first heard about them well before they started up. They appear to be selling 5 seats per trip rather than 7. Airport reports for July from Memphis, Milwaukee and Pittsburgh show an average of 2.97, 3.36 and 3.24 onboard passengers per trip respectively. (Indy airport’s web page doesn’t yet have data out). Plus when booking via Expedia it always says between 1 and 5 seats left. That doesn’t get to the reported 77% load factor but perhaps the report is for August. Luggage for them has been a challenge — you’re limited to a medium-sized carry on and from the coupe of people I know who’ve flown them the luggage situation has been tight. I find it interesting that they’re still espousing the idea of “if nobody books we won’t fly” model yet they’re saying they’ve filled 77% of seats. Currently their planes fly four legs per day like IND-MKE-PIT-MKE-IND. If any one of those segments has zero booked they’d still have to fly it to repo the aircraft for the next flight, Even if they ultimately fly all AAA-BBB-AAA routings they’d need both legs booked to 0 to not fly — pretty unlikely with the sort of loads they’ve seen. I’m glad to hear they are planning to add Friday flights soon, and I’d like to see some (or all) markets run both directions morning and late afternoon. All routes are currently 1x/day with a morning outbound and late afternoon return — useful for pax originating in one city but fairly useless for those originating in the other. Obviously they are in their infancy but it will be interesting to see how they develop and mature. If they succeed the opportunities are nearly endless for this type of service. I generally don’t trust small planes operated by companies I’ve never heard of. Pentastar Aviation? Who the F%^& is that? Do they pay their pilots enough to make sure that they are competent and trained? Also, with 7 seat planes, there’s just no way their costs will be competitive with the larger carriers. Yes, some people will pay a premium for nonstop service, but such people normally value frequency so they can pick a time that suits them. How are they going to accommodate that? Also, most of these routes are short enough that it makes more sense to drive or take a train/bus in many cases. I don’t have high hopes for this experiment, but let’s see. As the name might suggest, they were linked to Chrysler, starting out as the company’s internal air transportation division in 1964. It was renamed to Pentastar in 1980 and sold in 2001. I’d like to see a segment similar to this one in Silver Airways, as it has a very odd route map and is part of the Essential Air Service Act. I fly it out of Morgantown, WV very often and is a fantastic little airline. Either that or Miami Air International. They are partners with the Dutch Arkefly and you can actually see their 737s across the Atlantic in Amsterdam for Arke to use! More to the point, what is their funding structure? It almost sounds like, ‘we will charter a handful of airplanes on a semi-guessed schedule, but reserve the right to modify the terms or just walk away, daily, and with about 10 minutes notice. A ‘contract’ to move FedEx employees may look wonderful on paper, but if OneJet defaults for any reason, it simply won’t impact FedEx beyond a few telephone calls. Who owns this interesting operation? What experience do they have? How seriously is OneJet’s senior management *personally* committed to this operation, with *personal*, not leveraged funds? If they are successful, their three currently operating airplanes cold explode into a fleet and make the top few fellows a billion or more, quickly. And if it does not work quite that well, I suspect that the same top few could walk away on Thursday morning, all without loosing a collective dime. What I smell is a collective pipe dream, carefully structured to use capital of others and with zero risk to the ownership. How were they funded as an ‘airline’ without airplanes or infrastructure of any kind? Nice work, if you can get it… I’d like to know more. One of the early questions might be, “…and the risk of indictment and jail time?” Since house counsel is a partner, ahem… take your own. That advice may even be a good idea when buying a ticket. If it smells funny…. Cedarglen – A ton of questions here and maybe only a couple I can actually answer. *The aircraft and crews are dedicated to OneJet entirely, so it’s not just like chartering some time on a shared airplane. Plenty of assumptions on your part that I would doubt but don’t have a definitive answer either way. WTF is “stimulate trial right” in the paragraph about fares??? Scott – That means fares are low to encourage people to try the service. Sounds like the 80s version of Enterprise Air, didn’t they fly business jets through the Midwest/east on a scheduled basis? I ‘believe” all Part 135 aircraft are subject to the 100 hour maintenance rules and the pilots have to have a substantial amount of hours in that particular type of aircraft, more than the legacy carriers require. They also have to have a higher ‘class” medical. My wife is currently driving 5 hours from cincy to Pittsburgh because they cancelled the one and only flight on One Jet Airlines. Who does that? They told her she was the only customer so they weren’t flying. Website said they don’t cancel flights except for emergencies, and will even fly with no passengers. BS!!!!!! Buyer beware if you decide to fly One Jet. What a joke! Great jet just don’t expect to get anywhere on time. Delays and cancellations come standard. I want this to work but don’t plan any business meetings around your flight. Once the pilot left a headset in his car which delayed the flight an hour. Let me save you the hassle. Onejet is not suitable for business travel. They are completely Unreliable and do not waste your time dealing with them. Between weather and maintenance onejet has had <40% on time reliability. Their model could work if it weren't for poor execution and POOR reliability. So, having given this service a try on more than one occasion, here is what you can expect: Delays without notification. Flights for which the plane arrives four hours later without notification. And abysmal customer service that offers no explanation or compensation for failed service. As a frequent flier, I wanted this to be a workable alternative, but sadly, experience has shown me it is not. BEWARE!!! Booked a flight on 4/24, received an email yesterday (6/4) that flight was “cancelled.” Email further explained that “an error in our booking system” had allowed me to book this seasonal flight. 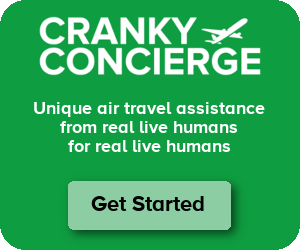 Customer service told me that I would only receive a refund – no assistance with booking a comparable flight (non-stop, times, fee, etc) – because I “have plenty of time to find another flight”. Manager has not returned two calls. Abysmal customer service, indeed. Stay away from OneJet unless you have money to burn. Cannot find another comparable flight and any others are nearly twice the cost. Vacation is off. Apparently I, have no recourse. I echo the comment above – BEWARE! !